Be it school or work, everyone has to do research online some or the other time. Sometimes it is really hard to find some things. The modern search engines have been crafted in such a way (especially fueled by competition) that it makes it easier for the user to find specifically what they want. But, search engines have a massive amount of indexed data. In some very rare cases, it makes it harder to find things that can easily be found when searched on a specific website. After all, the results are sorted by computers. Not that I say that computers are inefficient (I am the author of Right Now In Tech, duh! ), they are just not conscious like us. 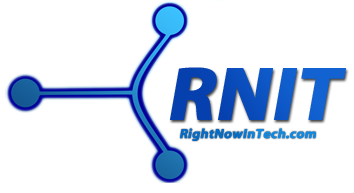 Here's a superb, but service that helps you create the very custom search engine that you need to search for a specific topic. It's called RollYo. You can also make the search engine available to others who are interested in searching for the topic, and you can use others' engines too. Now, because you need a free account to share and save your 'rolled' search engines, I recommend that you create one before continuing to read. To get started, go to the RollYo homepage. Now, you can search online from the homepage, or you can use one of the custom rolled search engines they have created for you. If you notice, when you use one of the custom ones on the homepage, there is a list on the left showing the various websites that were searched. Now that's how RollYo works. 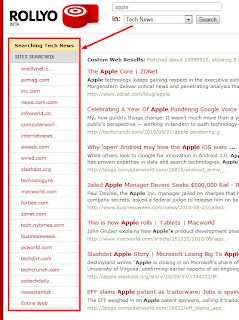 You add in sites to search in your custom search engine, and then use it. 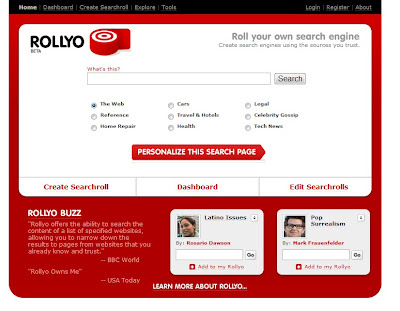 In a few cases, RollYo cannot be used for research, as you need to know the sites to search in. But you can always use the search engines created by people. 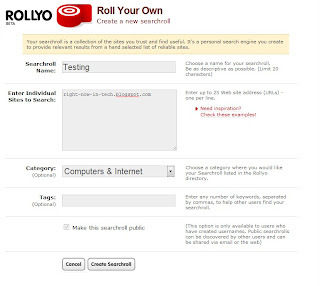 To roll up your own search engine, head over to the 'Create Searchroll' page. 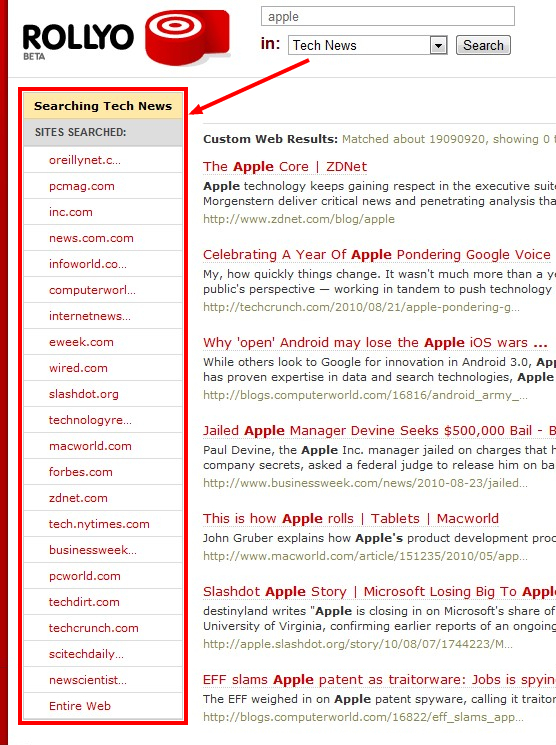 Now, give your searchroll a name, and put in the websites to search in the next box. 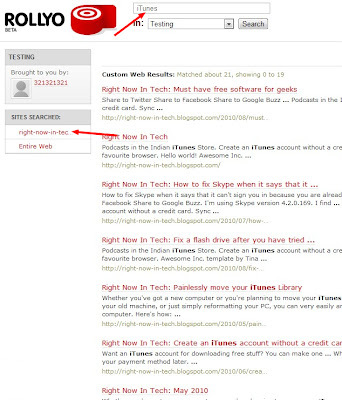 Optionally, you can even set a category for your search engine. 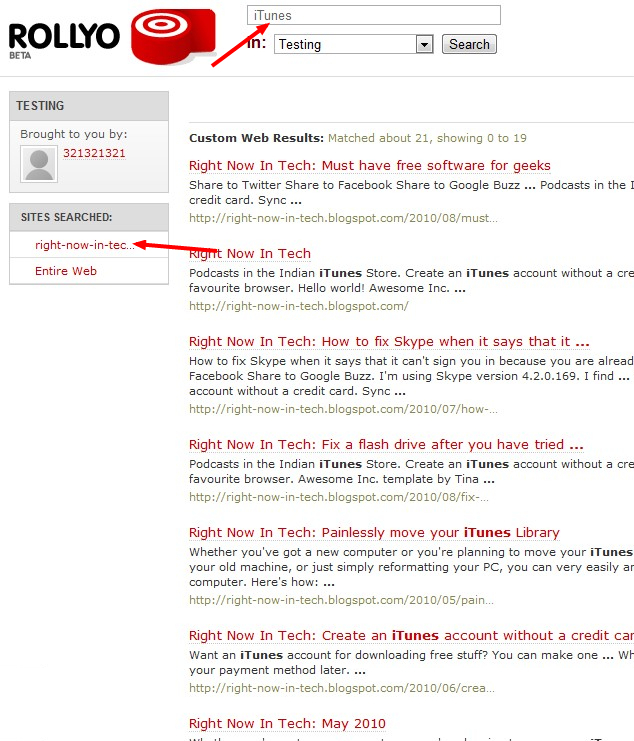 Then add in some tags so that other users can use it later. If you're a registered user and you're logged in, you can select the checkbox at the bottom to let others use your searchroll. 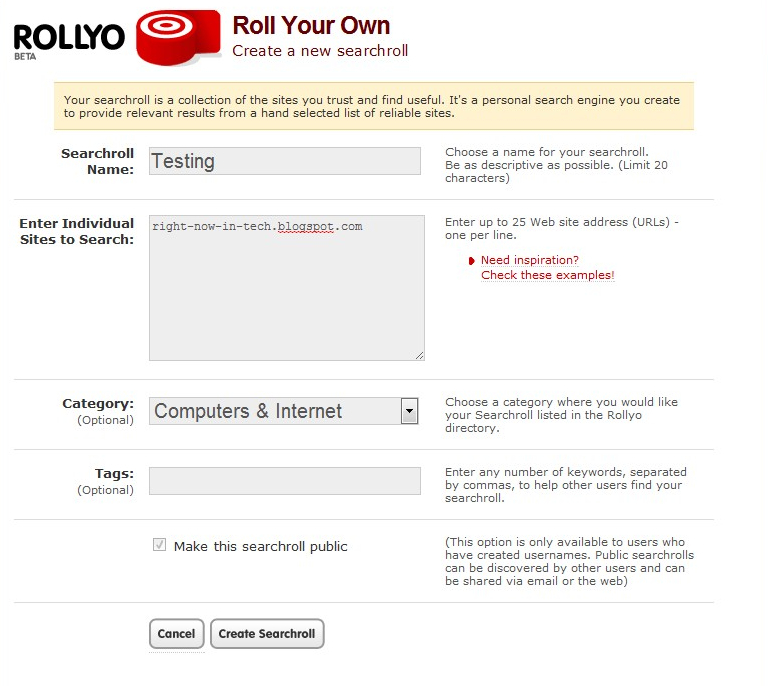 Now, click 'Create Searchroll'. It will let you go back to the homepage, which will now have your custom engine too. Click the search engine, and enter any term(s). 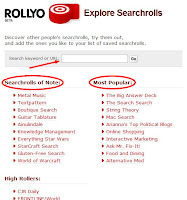 RollYo will search for it like any other search engine, except that it will do it only on the site(s) you entered. 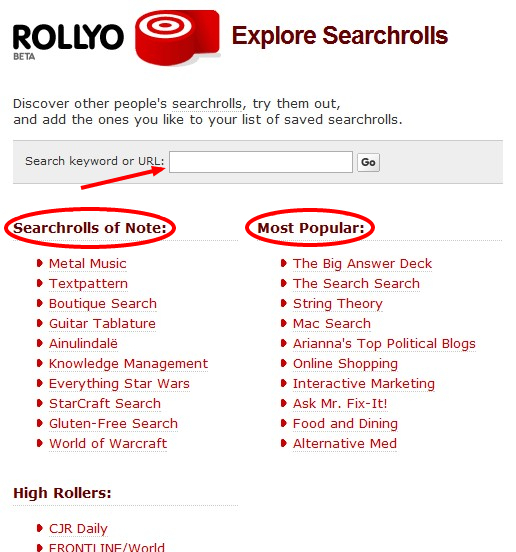 To use others' custom searchrolls, head to the 'Explore' page and see the popular search engines. You can also put in some keywords in the search bar on the top and search for a keyword for the kind of search engine you want to use. Have fun rolling. Hope you find this useful for your research.